Dunbar Golf Club ranked in Top 10 for Scottish Scenic Courses. "Dunbar Golf Club on Scotland's Golf Coast is one of the finest examples of Links golf anywhere in the world. It has a special place in my heart, with many happy memories taken place here. A classic course that has hosted top amateur events and Open Championship qualifying. Played by some of the best players in the world. It is a stern test on a windy day and a joy to play anytime, this is a must for any golfer visiting the area." "Dunbar is an amazing track, a Club with all the traditions of links golf and beautiful views." 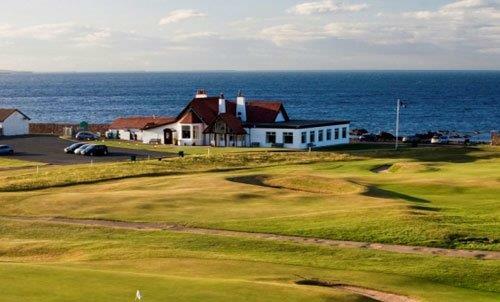 "Thanks so much to Dunbar Golf Club for the opportunity of playing your wonderful course and to enjoy the atmosphere and warm welcome your Members and staff provided. The golf course is simply a gem. It has been a truly great experience for me."